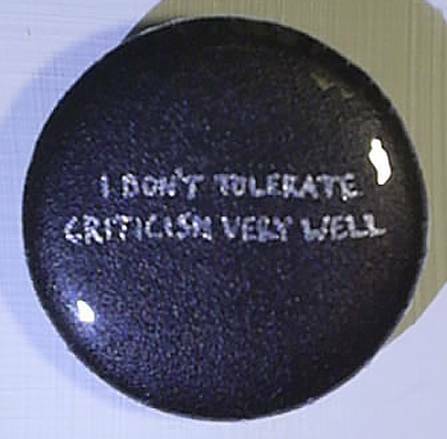 Duncan Sellar writes: In this project, participants in Remarkable and Curious Conversations were invited to submit criticisms of themselves to be made into badges. 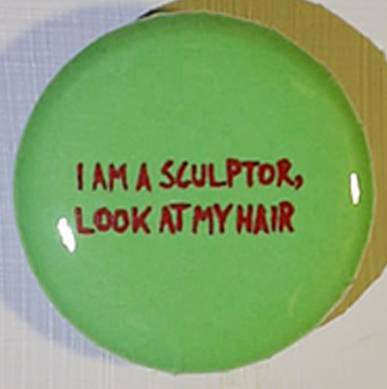 Submission was mainly via postcards issued to participants and returned to me at my studio. 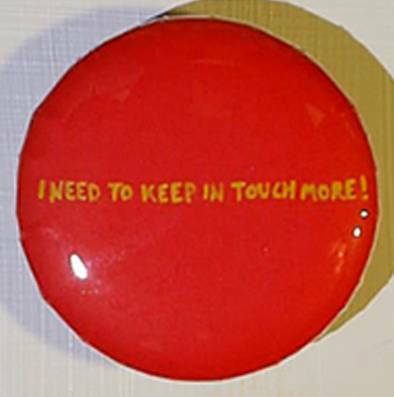 On receipt of the postcards, statements were hand-painted in acrylics onto origami paper and made into badges 3.2cm in diameter (as stipulated by toy badge-press). The colours used were chosen for their visual qualities alone. 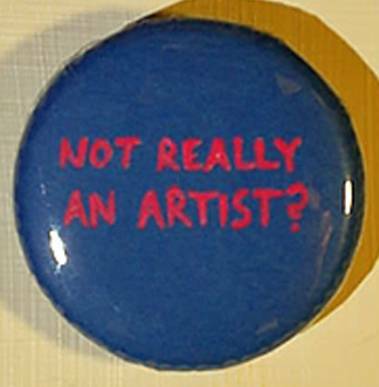 Contributors will be able to claim and wear their badges whenever they are put on show. As well being motivated by curiosity about what people think, or claim to think, about themselves, I liked the idea of being deliberately and perhaps inappropriately open about such thoughts. I chose badges as a medium for their guileless feel, and because of the way they declare their content on behalf of the wearer. I'm surprised by how discomfiting the results are: the contrast between the sentiments expressed in the statements and the jolliness of the badges' appearance often feels discordant. I'm interested to find out whether this will change when the badges are worn, and I hope that contributors will choose to claim and wear them when the time comes. 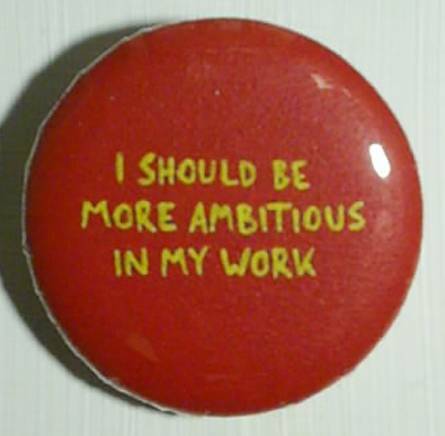 That would, for me, be the culmination of the project and the natural context for the badges to be seen in. 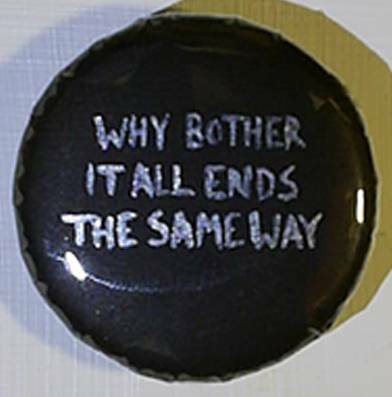 I'd be interested to hear other people's responses. 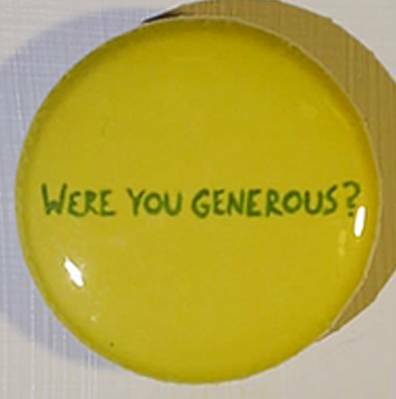 Many thanks to everybody for their contributions. 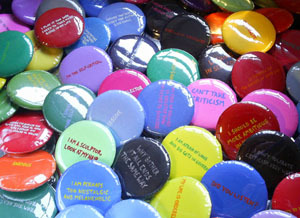 Alison Carter Tai writes: I liked this project for its thought-provoking nature. 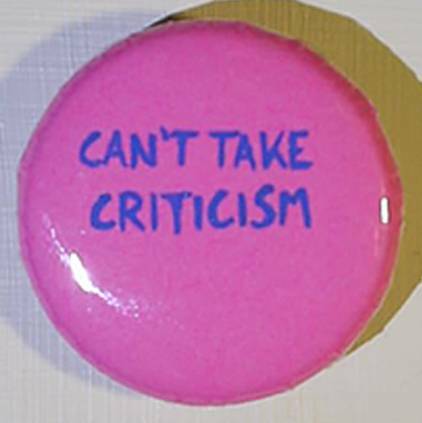 I submitted four entries, two or more years ago, and Duncan made all of my submissions into badges, but when we met at The Remarkable Shed Party in July 2012 and were invited to pick up and wear any badges with the self-criticisms that we had submitted, I realised that I had got through some of my anxieties of recent years, and was no longer being so hard on myself. 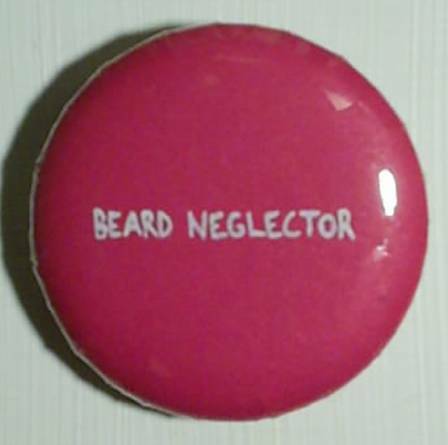 I just picked up one, and by the end of the day I felt I did not need to wear it any more. It was quite cathartic. So thank you Duncan for this inspirational project which led me to re-examine my self-doubts, and acknowledge with some satisfaction that I had moved on in my life to a new level of self contentment. 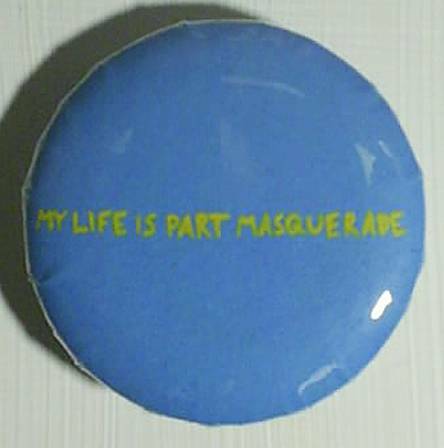 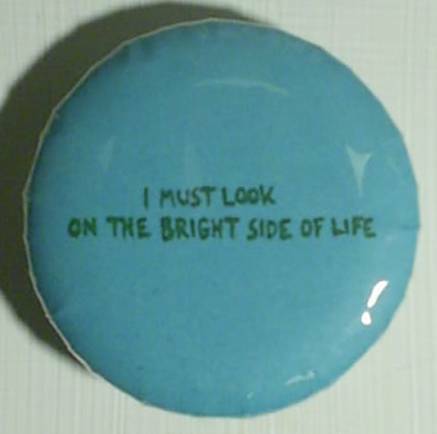 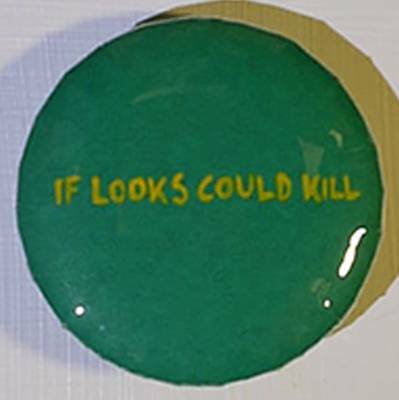 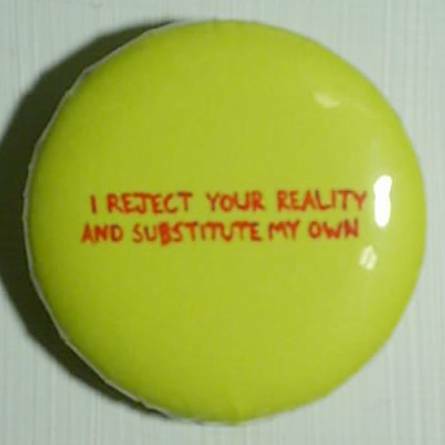 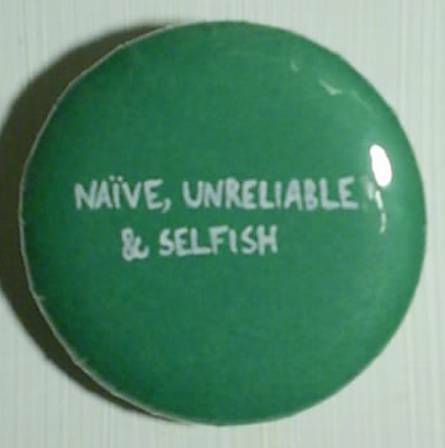 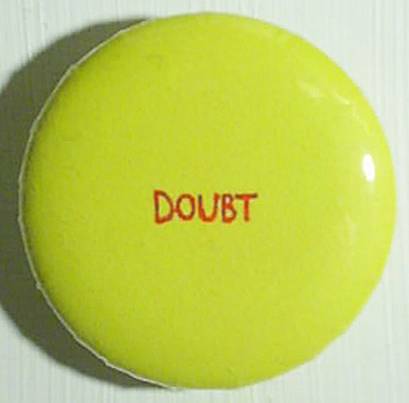 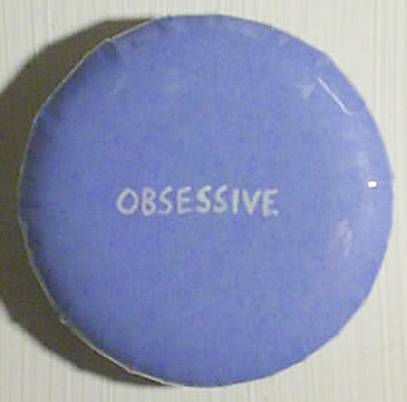 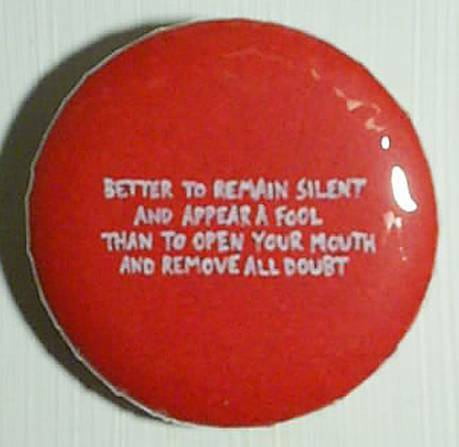 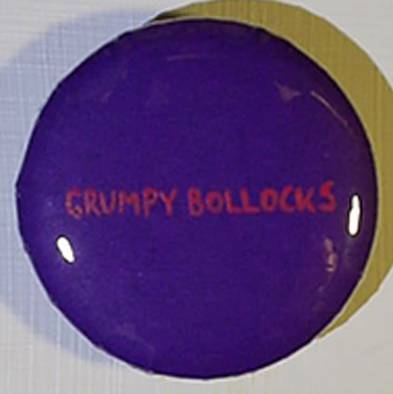 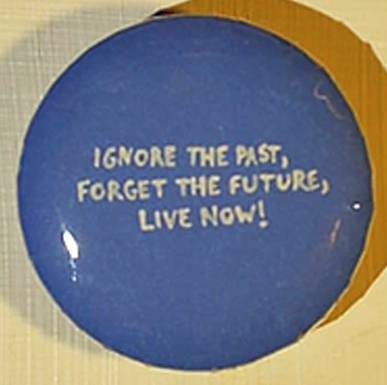 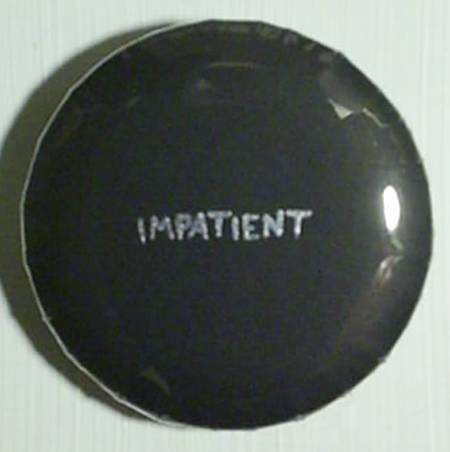 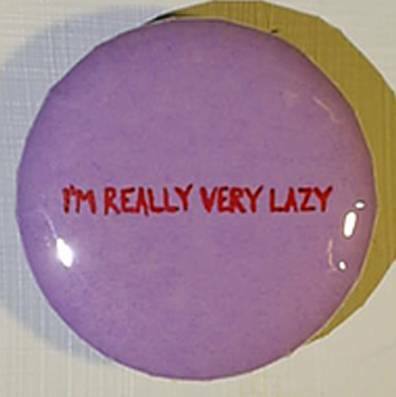 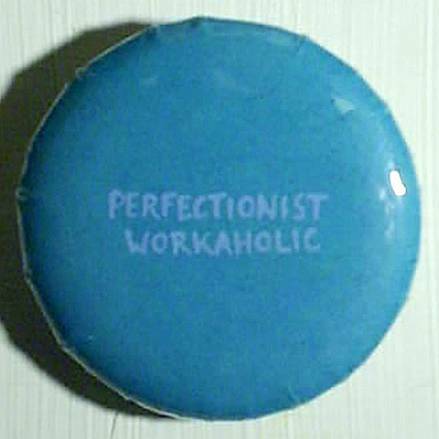 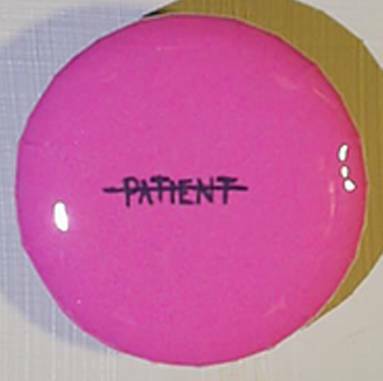 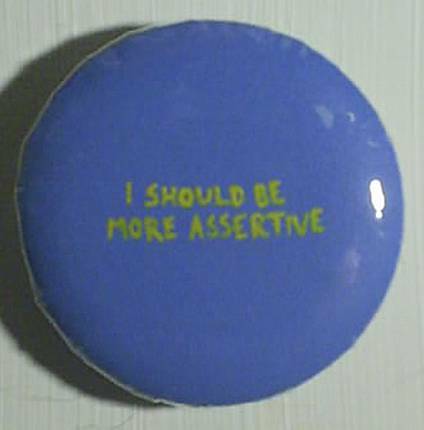 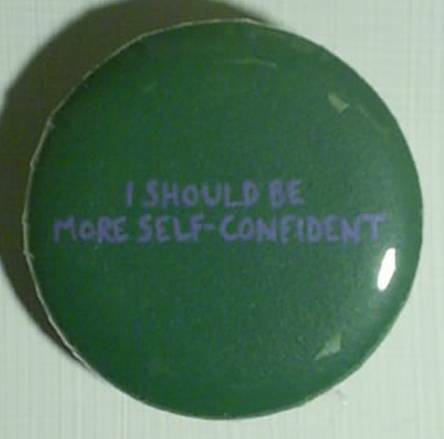 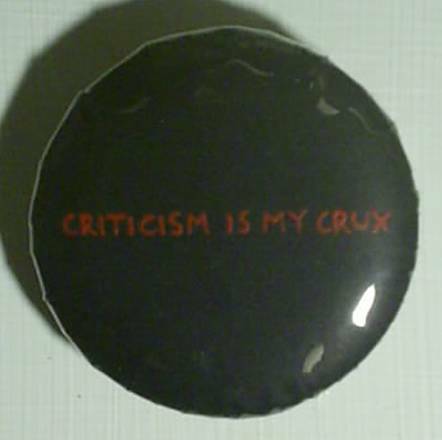 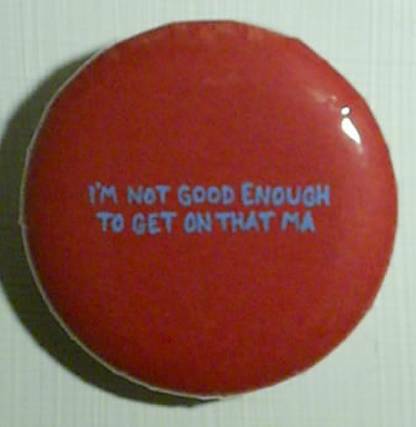 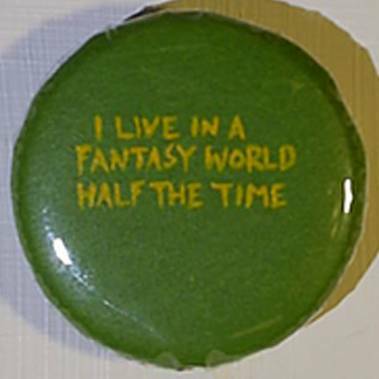 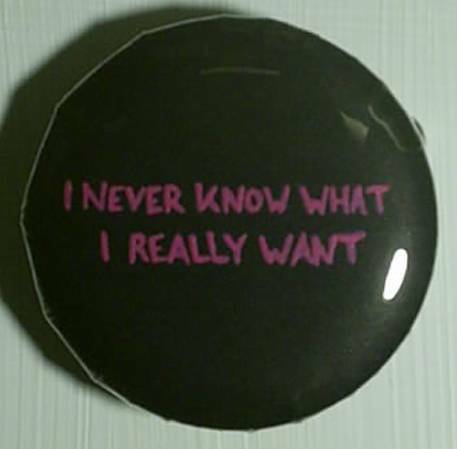 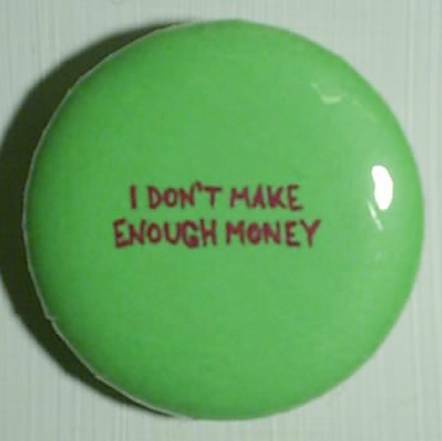 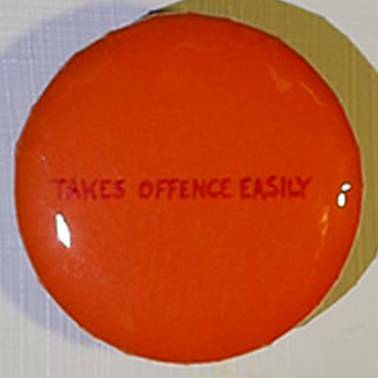 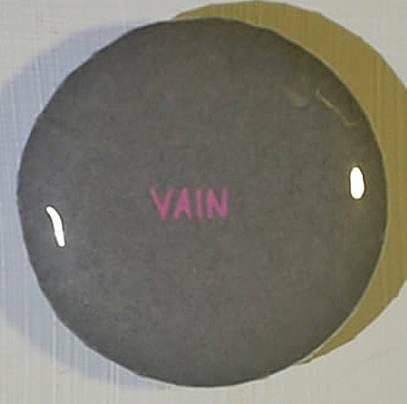 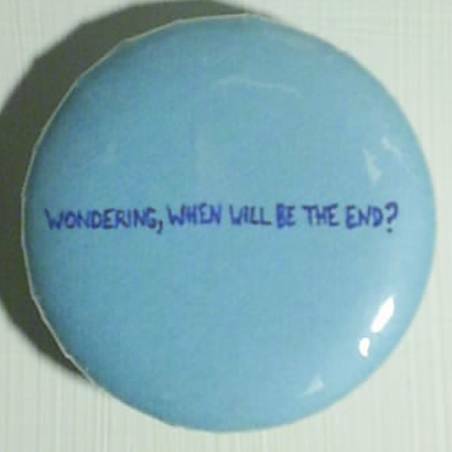 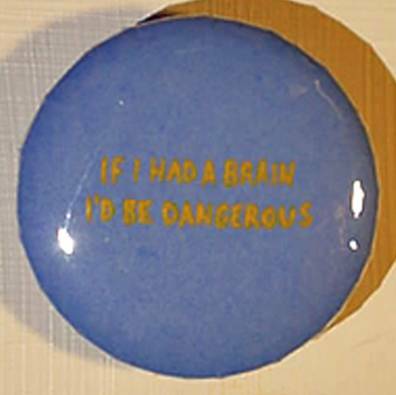 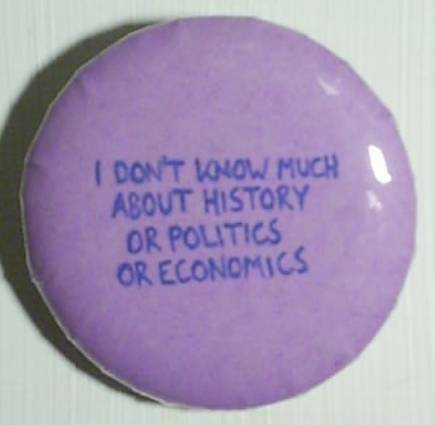 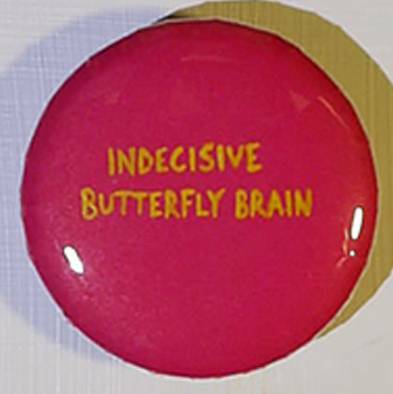 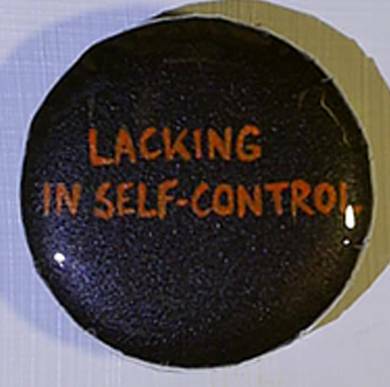 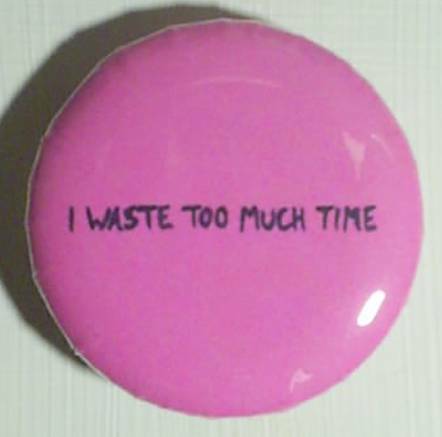 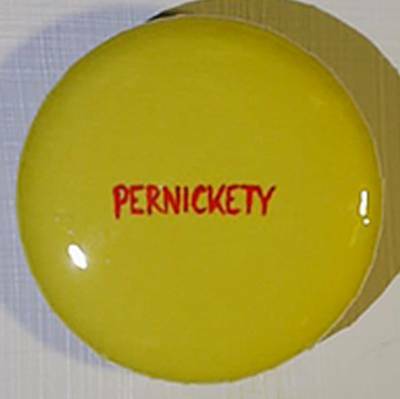 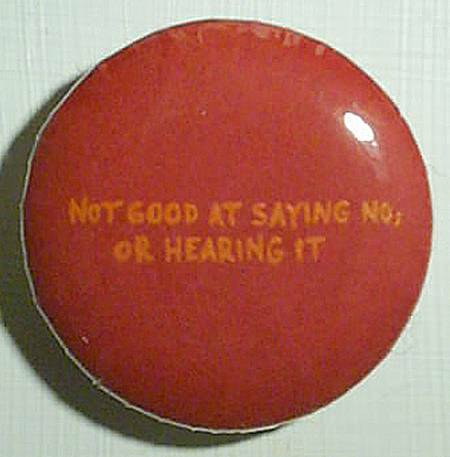 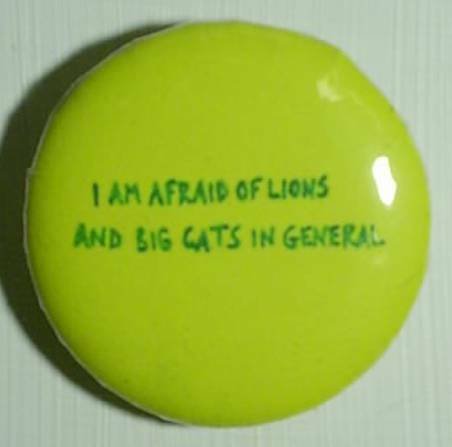 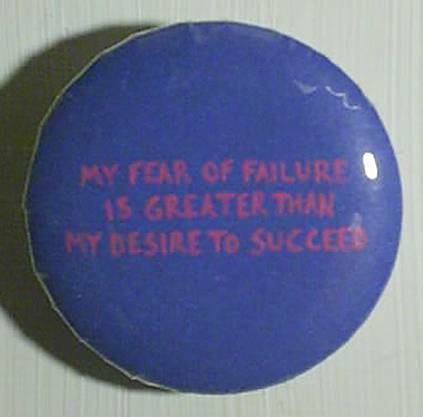 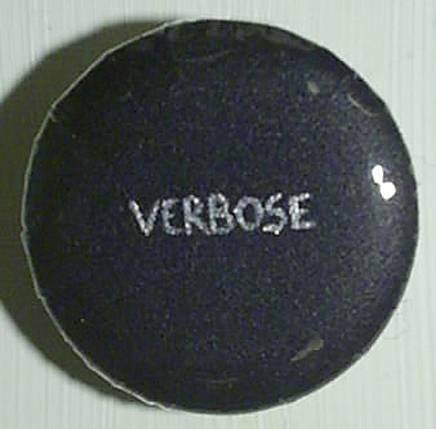 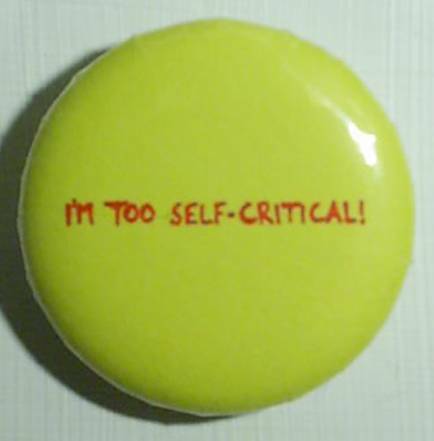 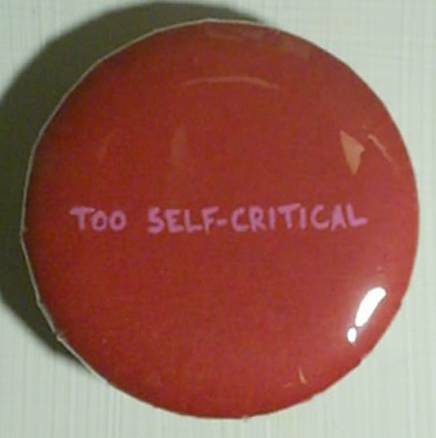 Contributors to Self-Critical Badges include Tânia Bandeira Duarte, Tineke Bruijnzeels, Marco Cali, Alison Carter Tai, Claire Deniau, Patrick Jeffs, Ingrid Jensen, Philip Lee, Andrew Markham, Martina O'Shea, Lorraine Pepper-McCrudden, Steve Perfect, Roger Perkins, Ann Rapstoff, Joan Skelton Smith, Cally Trench, Imogen Welch and Mary Yacoob.